Step 1 Adjust the oven rack to the middle position and heat the oven to 325 degrees. Spread the walnuts on a baking sheet and toast in the oven until lightly browned, about 6 to 8 minutes, shaking the pan halfway through to ensure that the nuts toast evenly. Remove from oven and cool completely. Increase the oven heat to 350 degrees. Step 2 In a food processor fitted with the steel blade, combine 1 cup of the nuts with 3 tablespoons sugar and process until the mixture is the consistency of fine meal. Add 3 more tablespoons sugar with the flour, baking powder and salt and pulse to incorporate. Add the butter and pulse on and off until the mixture is the consistency of fine meal. In Recipes-list.com we have selected the most viewed recipes from category - Breads Breakfasts Desserts . Enjoy the best recipes specially selected for you! 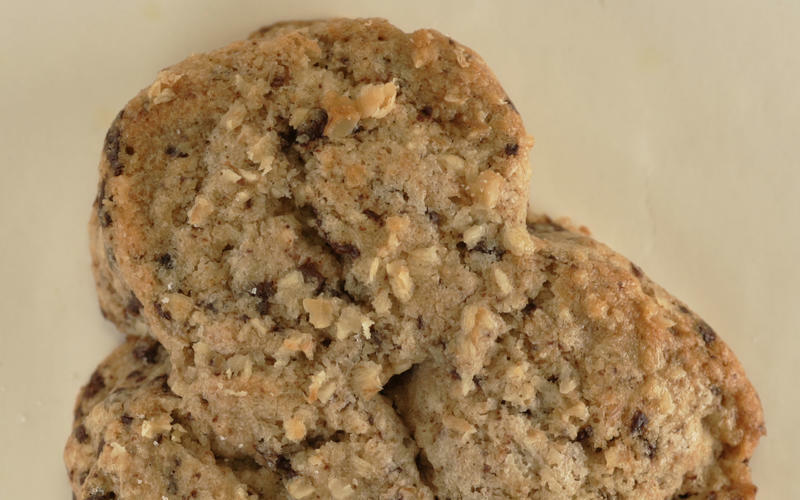 La Brea Bakery chocolate-walnut scones is the right choice that will satisfy all your claims.